As part of Council’s Enviroplan initiative, there are a number of partnerships between a land owner and Council that supports landholders in caring for our environment. There are four Voluntary Conservation Agreements (VCA) to suit the needs of individual land owners and properties. All VCAs are voluntary and do not restrict future sale of land. Support may include; annual land management payments, newsletters and educational materials, weed control rebates and free plants. To sign up to the programs or for more information on any of the partnerships please contact Council on (07) 3810 6666 or email: partnerships@ipswich.qld.gov.au. This agreement offers the highest level of support for the land owner. The Nature Conservation Agreement is available to land owners committed to conserving the environment with properties situated in a designated conservation zone with large areas of high ecological value. If properties are not within this zone, landowners are given the option to voluntarily change the zone. This agreement is ideally suited to properties of 10,000 m2 (1 ha) and above. Access to newsletters, workshops and more. This agreement is for properties within the Rural E (Special Land Management) Zone. Options exist for the landholder to change their existing zone to suit the eligibility of this agreement. The agreement offers a lower level of land management payment and caters for properties with medium ecological values existing on the property. 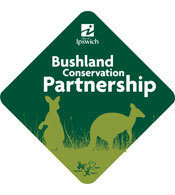 The Bushland Conservation Agreement is ideally suited to properties of 10,000 m2 (1 ha) and above. 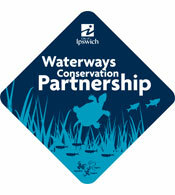 The Waterways Conservation Agreement is suitable for properties situated in a strategic linkage on waterways identified by Council's Nature Conservation Strategy and waterway-mapping layers. 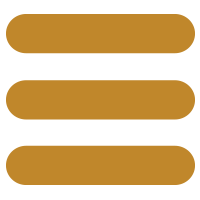 This agreement is suitable for any property size within an adjoining waterway. 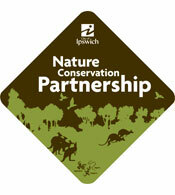 This agreement offers specialised support for koalas within Ipswich. 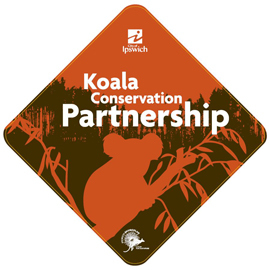 The Koala Conservation Agreement is available to landholders whose property has habitat suitable for koalas or has potential to restore habitat to support iconic species (specifically koalas). These habitat values can be identified through SPP Koala Habitat Mapping as well as the Ipswich Nature Conservation Strategy 2015. The integration of conservation with other land use types such as grazing is an important outcome of this agreement, there is an emphasis on exclusion zones for the purpose of habitat rehabilitation and species protection. This agreement is ideally suited to properties of 10,000 m2 (1 ha) and above. Land for Wildlife is a voluntary scheme that encourages and assists private landholders to provide habitat for wildlife on their property. It provides recognition for landholders committed to conserving the environment, even though the property may be managed primarily for other purposes, e.g. grazing. If you wish to protect wildlife habitat on your property the Land for Wildlife scheme can offer you advice and on-ground assistance. Whether you manage a farm, bush block or small acreage, all you need is a hectare or more of native vegetation. 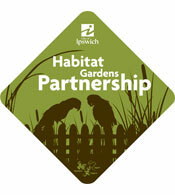 The Habitat Gardens Partnership is for owners of properties under one hectare interested in providing habitat for native animals. This program is ideally suited to properties in an urbanised setting where our native flora and fauna is struggling to compete against increasing pressures from humans and introduced plants and animals. Please note: this program is strictly for properties not eligible for Council's Voluntary Conservation Agreements. If you want to create a native garden with all the right food plants and nesting places for our native fauna then this is the program for you. Access to Council’s Environment Matters Newsletter. If already registered, click 'Sign In' at the top right hand corner of the screen. For residential landholders 6 plants of any species may be selected by yourself as per your rates notice. The additional 20 free plants, as part of the Habitat Gardens Program, must be native plant species in native tube stock - Council nursery staff will help to ensure you obtain the correct species for your situation. Weeds in general are defined simply as a plant growing in the wrong place at the wrong time. An environmental weed can be defined as an exotic or even an Australian native plant species growing outside its natural range or distribution. 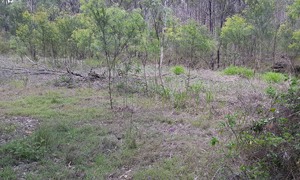 Environmental weeds have the ability to invade our bushland areas and potentially have a negative impact on the structure of that environment. 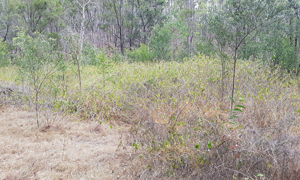 The existence of environmental weeds is one of the most important issues in the on-going protection and management of Ipswich City's natural resources. On a national scale, weeds are one of the most serious threats to Australia's environment and primary production resources. Ipswich City Council has an Environmental Weed Control Rebate (EWCR) Program to assist private land owners to control environmental weeds. What is the Environmental Weed Control Rebate (EWCR)? The EWCR provides a financial incentive for private land owners to control environmental weeds. The rebate is funded through the Ipswich Enviroplan and covers 50% of the cost of contractor work or herbicide purchase, up to the maximum rebate amount. The rebate covers 50% of the costs of contractor works or herbicide purchase, up to your maximum eligible rebate amount. Works considered to be harmful to surrounding native vegetation or waterways will not be approved. The rebate is subject to funding availability and may become unavailable before the end of the financial year. The below table details the weeds that are eligible for the Environmental Weed Control Rebate in the Ipswich City Council area. What control works are eligible? The purchase of herbicide is required to control weeds on your property. The rebate is only eligible for works to be conducted on privately owned land. Your application will be assessed and you will be notified of the outcome within 10 working days. Complete an acquittal to claim your rebate by providing details of works completed on your property, including evidence of treatment i.e. photos, map and receipts as evidence of expenditure. Once you have acquitted the rebate and provide all relevant evidence to Ipswich City Council, the approved reimbursement amount will be deposited directly into your bank account within 15 working days. For more information on weed species and control methods visit the Department of Agriculture and Fisheries and to find out how you can live sustainably to protect our environment visit Sustainable Ipswich. Free Plant Program: the Free Plant Program is available for all residents. Up to 6 free plants are available per annum and plants can be obtained from Council’s nurseries. 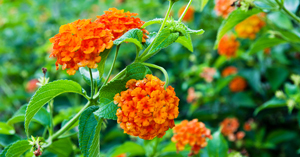 More plants are available per year for residents on a landholder partnership agreement. Educational material: a range of fact sheets, booklets and brochures are available covering a range of environmental and recreational topics. More information is available under Environmental Education. For further assistance and information please contact Ipswich City Council on (07) 3810 6666.